Lady Seated at a Virginal, also known as Young Woman Seated at a Virginal, is a genre painting created by Dutch artist Johannes Vermeer in about 1670–72 and now in the National Gallery, London. 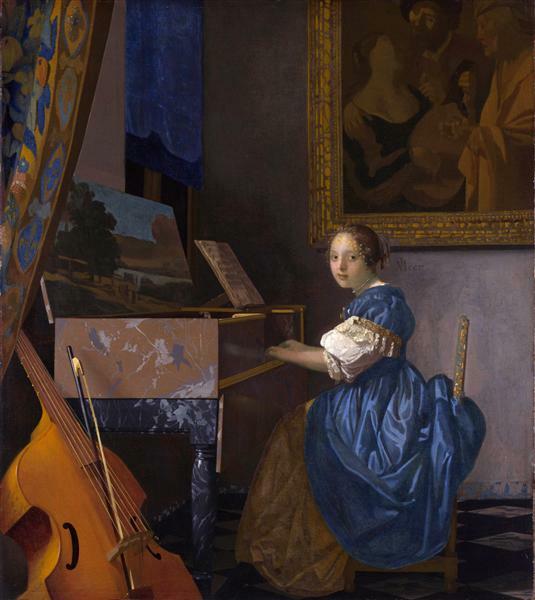 Another painting, probably also by Johannes Vermeer known as A Young Woman Seated at the Virginals, belongs to a private collection shows also a young woman seated at a Virginal. 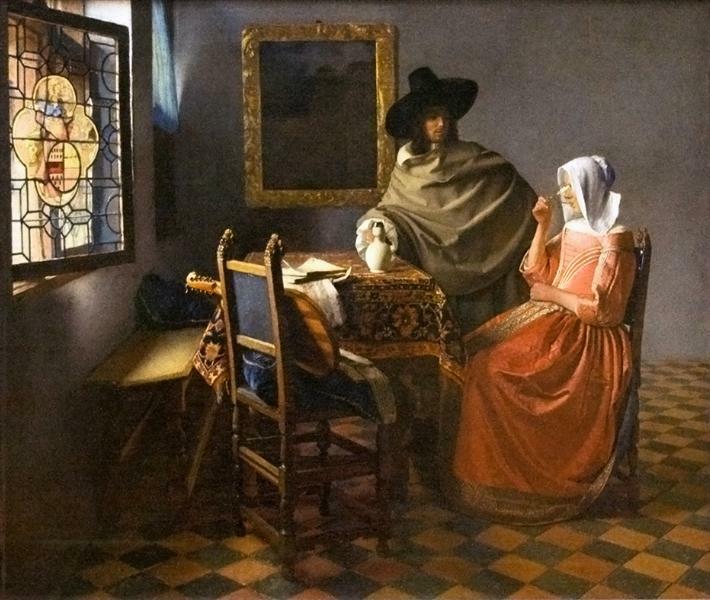 This painting and Lady Seated at a Virginal are quite separate works and are each known by alternate names and confusion between those two pieces may exist. The picture shows a woman facing left and playing a virginal. In the left foreground is a viola da gamba holding a bow between its strings. 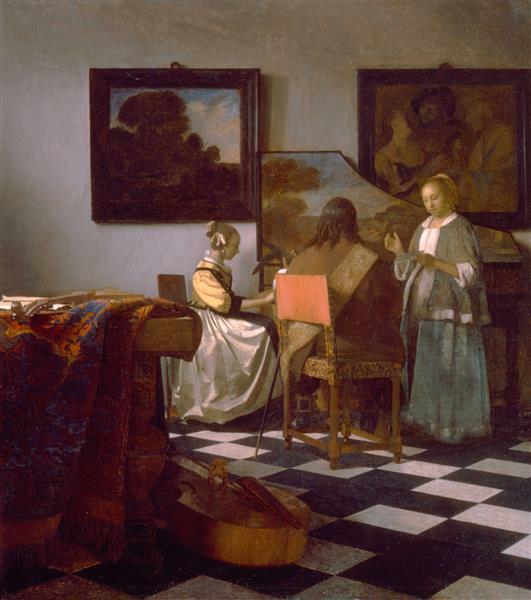 A landscape is painted on the inside lid of the virginal, and the painting on the wall is either the original or a copy of The Procuress by Dirck van Baburen (now in the Museum of Fine Arts in Boston), which belonged to Vermeer's mother-in-law. 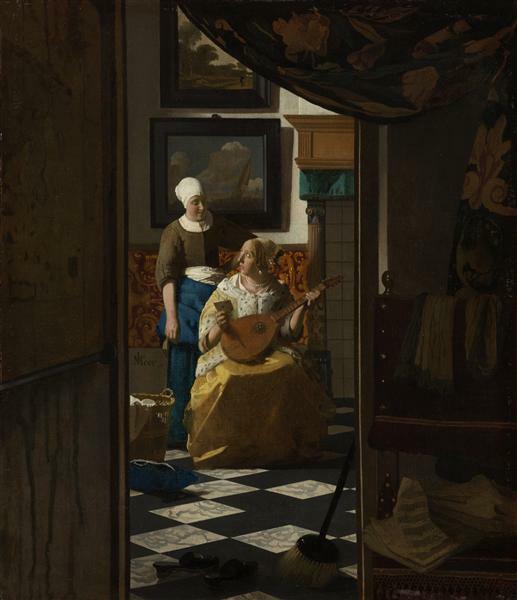 Vermeer had already featured this painting in The Concert, perhaps six years earlier. It is unclear whether or how much the subject of The Procuress is intended to reflect on the meaning of this work, although "It is probable that a more general association between music and love is intended." At the upper left, a tapestry is used to frame the scene, and in the lower right the foot of the back wall is decorated with Delft tiles. 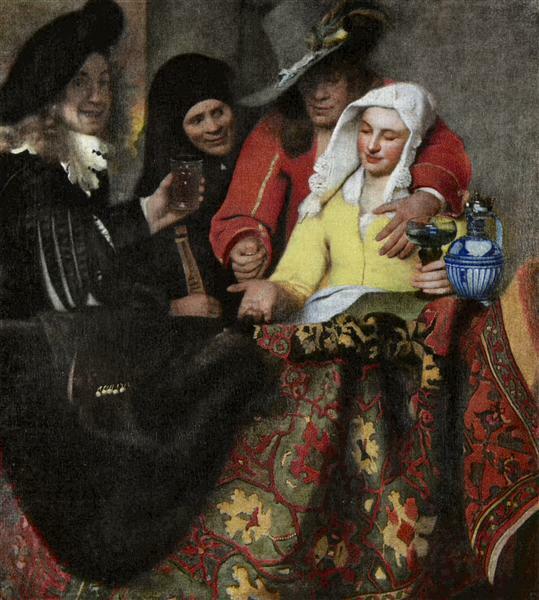 Because of its style, the painting has been dated to about 1670. It has been suggested that it and Lady Standing at a Virginal (also owned by the National Gallery) may have been created as pendants, because their sizes, date and subject matter are all similar. A recent study has shown that the canvas for the two paintings came from the same bolt. In addition, the ground applied to the canvas appears identical to that used for both the Lady Standing and the New York Young Woman Seated. 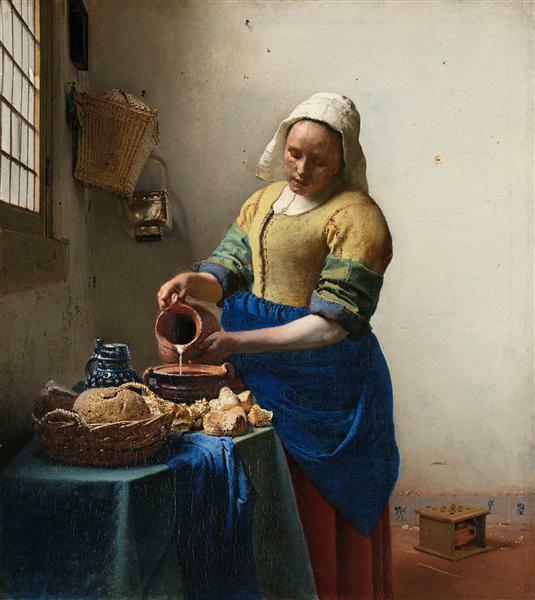 However their provenances before the 19th century differ, and Vermeer sometimes varied a theme in otherwise unrelated paintings. 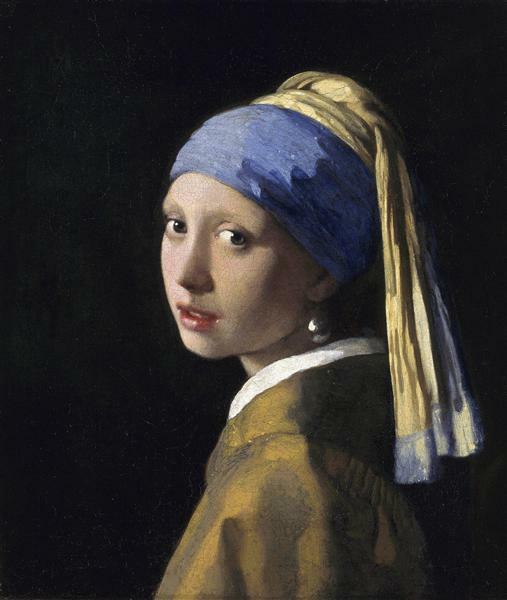 In the 19th century, both paintings were owned by the art critic Théophile Thoré, whose writings led to a resurgence of interest in Vermeer starting in 1866. The painting entered the National Gallery with the Salting Bequest in 1910.